Azar Gat is one of my favorite scholars. He does not seem to be one who bows before fashion. 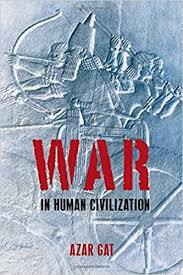 If you haven’t, I recommend War in Human Civilization a great deal. With that being said, perhaps an overlooked work is his more recent Nations: The Long History and Deep Roots of Political Ethnicity and Nationalism. It is a reasonable antidote to Benedict Anderson’s Imagined Communities: Reflections on the Origin and Spread of Nationalism. Anderson’s book is apparently one of the most assigned works to undergraduates in the United States, and I saw it cited so often that I went ahead and read it to see if there was any “there there.” Alas, that was not to be. I have come to conclude that those who find profundity in Imagined Communities are superficial thinkers, and want “information for free.” That is, a theory that can explain history without having to learn many facts. 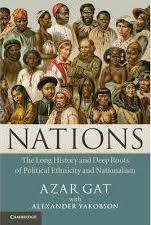 Gat’s Nations is not a simplistic argument that the specific nations we see around us today have deep roots in antiquity. The chasms between Arminius, Luther, and Bismarck, are great indeed. But for Gat the conceptual framework of nationhood is derived from primal constituents and extends itself naturally from a common human set of cognitive reflexes and the selective sieve of cultural evolution. A late Roman Republican politician could understand broadly the process of the formation of the creation of modern Italy from various constituent polities which shared a cultural affinity, just as the Roman Republic itself was a fusion of tribes. In the old days, India was not united. And there was no cohesive Hindu identity. Literally, “Hindus” did not call themselves Hindus in premodernity. So far as today, Hindutva is an ideology of hate, based on early 20th-century European fascism, that derides religious minorities. Overall I think this is an unhelpful and polemical way to present the facts. I am not a Hindu nationalist. But neither am I secular Indian. In the Indian context “secular” means a very precise thing which is not covered simply by being an irreligious atheist (which I am). As an American who has an intellectual, but frankly no deep emotional, interest in South Asian affairs it is up to Indians to sort out their cultural and political conflicts. But, just as the “Out of India” Hindu nationalists strike me as in the wrong, it seems clear that some secular Indian intellectuals engage in polemics unfounded in fact, or shading the truth in a manner that serves their ideology rather than the facts on the ground. A certain school of scholars, who seem to be engaging in a culture war against Hindu nationalists, present the genesis of Indian identity as a pure reaction to the engagement with Europe. That is, Indianness develops as a mimic of Englishness. Before 1800 there were jatis, Muslims of various ethnicities, and curious minorities like Parsis, all coresident across South Asia, but there was no Hindu identity except as a disjoint set of characteristics and cultures which were not included amongst Muslims, Christians, Parsis, etc. This view is extremely misleading. The genetic evidence seems clear that the ethnogenesis of modern South Asians dates to the period between two and four thousand years ago, between the last massive phase of admixtures between different continental elements, and the emergence of an endogamous caste system. The antiquity of caste is genetically attested and spans much of North and South India. As far back as the time of the Greeks and Persians, the people of the Indian subcontinent were known to those outside as a distinctive and coherent element, and the Hindu religious traditions certainly predate 1800. Adi Shankara, an 8th-century thinker who arguably outlined the core tenents tone of “elite Hinduism” as we know them today, was a Brahmin from the far South of the subcontinent. It is true that the indigenous traditions of the Indian subcontinent were a diverse mix, and many communities (now termed “tribes”) were outside of the caste system and Hindu society. But by the time that Islam arrived in the subcontinent the influence of Brahmins had certainly spread a particular elite culture patronized by most rulers, with those who were skeptical often being devotees of religious groups more distinct from Hinduism (whether it be Buddhists or Jains). It is correct to point out that most people in the Indian subcontinent did not subscribe to Brahmin religious thought, but most of the population of Europe in 1000 AD practiced a very inchoate Christianity, and yet we do not hesitate to term this a Christian civilization, seeing as how much of the continent was bound together by a priestly elite which obtained sponsorship from kings and nobles. To be frank, some of the anti-Hindutva scholars seem to be engaging in semantic games to win arguments with their ideological enemies. It is clear that Indian national identity in a political sense is recent, and is not analogous to that of China, which is ancient. But should one then say that a “European” identity did not exist in 1000 AD because most European polities were bound together by personal rule and the Christian religion, rather than geography and nationality as we understand it? 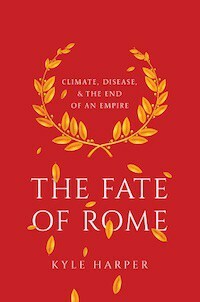 It is clear that the outlines of what became Europe emerged in the wake of the Roman collapse, and the rise of Islam. Just because courtiers in the court of Charlemagne did not term themselves “Europeans” does not mean that the general outlines of Europeanness did not predate the ideological formulation in the early modern period, as Christians became Europeans. A bigger framework is that we can see patterns across societies in time and space, and draw analogies and inferences. Human social and political institutions are commensurable. The development of Europe in the wake of the fall of Rome and the shock of the barbarian invasions is neatly analogous to the emergence of native Indian religious traditions in the wake of the shock of the arrival of Muslim Turks. There are differences, but Europe and Europe’s experience is not sui generis. 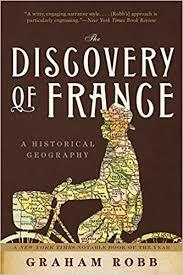 One could state that France “did not exist” until the French Revolution, and the 19th century drives toward assimilation of local dialects and the emergence to prominence of “standard French.” But it is clear that something “French” clearly motivated the elites, Protestant and Catholic, who battled in the 16th and 17th centuries, at the intersection of religion and nationality. Even though most peasants had a rural and local identity, the stage was set for the national passions which inflamed the Revolutionary regime of the 1790s. Similarly, the Indian republic has had its issues, but it is not a coincidence that it has managed to maintain continuity and integrity through all its ups and downs. Indian identity is clearly somewhat an artificiality because a unified Indian state was imposed relatively late in history, and only for a short period by a Mughal elite which was not in cultural solidarity with the diversity of its subjects. 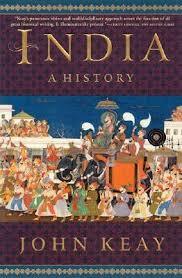 But across the cultural diversity, there is a level of affinity which has historical roots. An analogy here can be made to Indonesia, a diverse archipelago which was never a unitary state, but whose cultural cohesiveness is a product of history rather than politics. The regions of India and Indonesia, Kashmir and the northeast for India, and the eastern islands for Indonesia, are those regions with less cultural affinity and oftentimes no shared history with the central elite. Some systems of thought constrain comprehension in a semantic straightjacket. So, for example, there are those who would argue that “religion” in a Western context is qualitatively different from “religion” in an Eastern context. I think this is ridiculous. 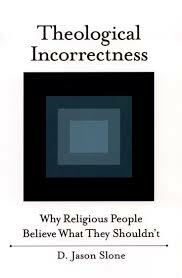 All religions exhibit cognitive features, which are the outcomes of our evolutionary history, which is shared. There is the idea that a nation-state has to be understood as a crisp definition which emerges in the period between the Peace of Westphalia and the French Revolution. That the nation-state was born in Western Europe, and all successor nation-states the world over are derived from Western European ideas. There is some contingent truth to this. Modern nation-states are fundamentally Westphalian. The language and the framework of modern diplomacy are European. In particular, it comes out of the second half of the 17th century. But the European nation-state is not sui generis, and diplomacy was not invented by Europeans. The concept of a geographically delimited polity associated with a standing army and civilian bureaucracy is not just something particular to early modern Europe. The Romans, Chinese, and Muslims created such political systems. The Roman system collapsed in Western Europe, while the later European system overwhelmed the Chinese and Muslim political systems. But even in their accession to the European forms, native societies retained their uniqueness. Their own deep roots. This is evident in both China and Japan, whose political systems outwardly are replicas of European ideologies and frameworks. The Islamic Republic of Iran is a peculiar hybrid of European and indigenous. When Western scholars deride Hindutva as based on “early 20th-century European fascism”, they remove from Indians any agency. As if Hindu nationalism is simply a curry-flavored form of European fascism. Like Baathism, Chinese Nationalism after the purge of the Communists, and the military regime of interwar Japan, there were clear influences from Europe, but all exhibited strong indigenous roots and bases as well. There are things particular, and things general. It was almost inevitable that a traditionalist Hindu renaissance would develop long before the ferment of right-wing ideologies in early 20th century Europe. The small-scale decentralized Indian cultural complex which weathered the storm of Islamic rule was unlikely to ever maintain itself in the face of modernity (contra Gandhi). It was going to evolve in various directions, and one of them would be reactionary, even if that reaction was toward an imagined past which synthesized future hopes informed by the present with past solidities. The past was very different. And other cultures are very different. But they are not incomprehensibly different. Outside of Europe the antecedent of the present is not simply the past of Europe. Other societies differ from Europe and reacted in various ways to the colonial experience, but the European shock is not the sum totality of what they are and what they will be. The terms and concepts we use to scaffold our comprehension of the world around us are important in their details, but they are not what we are comprehending. Just because we see the past darkly through the mirror does not entail that we should simply refashion the past in our easier imaginings. but it does seem reasonable to warn at this stage that viewing Brahmin religious thought and “subaltern” religious beliefs as completely separate compartments as some anti-Hindutva “scholars” do couldn’t be farther from the truth. As you can see from the thread, a Vajrayana Buddhist text is explicitly recommending getting a “consort” for tantric practice from some avarNas by taking on the role of a teacher of a specific *Shaivite* tantra (i.e., faking yourself as a teacher of a tantra you don’t subscribe to), suggesting that the said Shaivite tantra was very popular among the avarNas. “I have come to conclude that those who find profundity in Imagined Communities are superficial thinkers, and want “information for free.” That is, a theory that can explain history without having to learn many facts”. — how lovely Razib’s words sound to my ears regarding many “educated people” that ar simply lazy to learn about what some of them pretend to study. This is reminiscent of the “invention of the Jewish people” idea that Shlomo Sand has tried to popularize through his books — the idea that Jews did not see themselves as being part of a “community of Jews” per se until modern Zionism emerged. Still, I don’t think they were wrong to focus on the evitability of nationhoods and elite influence and modern means in constructing it at least. I suppose part of it was also a reaction against nationalist narratives that often go even further the other way in trying to see continuity and primordial relationships in everything. The emic/etic distinction in ethnic regard also holds some value – outsiders might see a certain community as more coherent than its own, supposed members really see it as, at least in pre-modern/pre-recent times (and there arises the question of politics too: if you support someone who is menacing your supposed co-ethnics/culturals/whatever more than you necessarily support them much of the time, there exist some splinters there even if we can say you’re part of the same err “imagined community” 🙂 in a sense). At the end of the day, studying any particular case more closely does show that neither grand narrative is entirely correct, they both have to somewhat handwave some evidence they don’t like even if one or the other case can be argued more persuasively to someone’s satisfaction. I think Anthony D. Smith’s work takes a persuasive, balanced approach in general with all this. Zack in the linked post does indirectly bring another good point up too (though I’m not sure it applies in that specific case, but as a general thing…); usually people are more interested in scrutinizing others’ held identities, national myths etc. Even serious historians were often much more prone to that in the past. It’s the opposite of turning it towards oneself and towards all of them that’s rarer and those modernist/Marxian scholars did do that a lot, in fairness to them. While, yes, delineation of Hinduism is perfectly natural, you also have to wonder how many different delineations there could be. For example, why isn’t Buddhism considered a part of Hinduism? I don’t know the answer, but I wouldn’t be surprised if the answer was “arbitrary (but perfectly natural!) categorization established by the colonial government”, if they wanted to, I could imagine that the British could merge Sri Lanka and Myanmar with the British Raj and we’d probably call that natural as well. 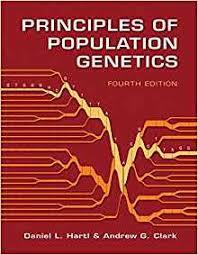 There are many categorization schemes for given populations, and they can all be acknowledged as a part of one’s identity, but constructing them as politically meaningful is a separate process. A medieval peasant could maybe consider himself French, Latin, Gascon, Christian, Catholic, European and so on, but would probably see the idea of being “one people” with a Muslim Albanian or a Russian Orthodox as preposterous. Because Buddhists didn’t want to? Emperor Ashoka (~200-300 BCE) converted to Buddhism from Hinduism. No need for colonists to show up to differentiate between Buddhism, Jainism,and Hinduism. When you don’t know the answers, perhaps you should look a bit more before assigning all the credit to colonial categorization. Yeah, like Assam and Andaman Islands are being felt as “natural” too to this day, I suppose. Very easy to dismiss differences between all brown folk, eh? But of course, “Muslim Albanian or a Russian Orthodox” are not all being felt as one people with an European in current America as “White” I suppose. This ‘one identity’ seem to have merged much more quickly and easily than colonial categorizations.